Today's PC cases come in all shapes and sizes, and the search for the perfect chassis often starts with the same question: what size do I need? 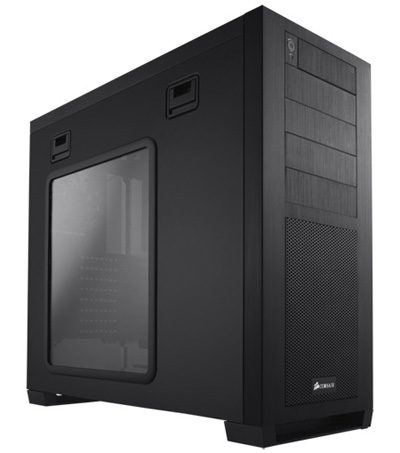 Generally speaking, PC cases are available in two primary form factors; desktop and tower. The former, designed as its name suggests to sit horizontally on top of a desk, is ideal in scenarios where space is limited - these cases can often sit tidily beneath a monitor, and they're equally adept at slotting into an AV rack for use as a home-theatre PC. 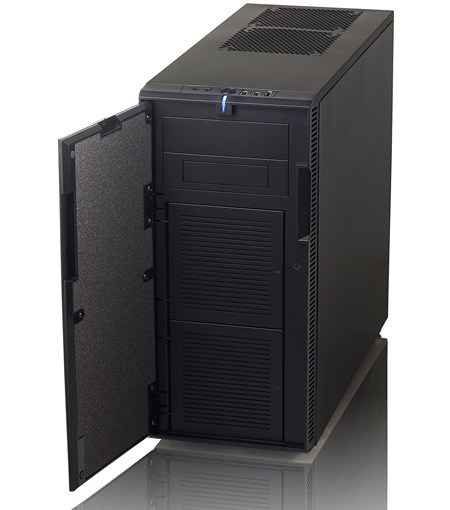 Built to house a myriad of hardware configurations, the tower chassis is itself available in a variety of shapes and sizes that can be sorted into three core categories; mini-tower, mid-tower and full-tower. The smallest of the lot, the mini-tower, is popular in business environments where space is at a premium and is generally designed to house smaller mini-ITX or micro-ATX motherboards. At the top end of the scale, full-tower chassis can stand at over 60cm tall and offer an even greater number of expansion opportunities - in addition to support for niche motherboard form factors such as extended-ATX. These heavyweight solutions fetch a premium and are best suited to users opting for extreme high-end builds. If you're planning on running multiple graphics cards, for example, size does matter. Whether you've decided on a small-form-factor or a full-tower, airflow will play an important part in prolonging the life of your PC's components. Today's CPUs can kick out more than 100W of heat output, and a high-end graphics card can easily double that number. Factor in the heat created by mechanical hard-disks, system memory, motherboard and power supply, and your enclosure's at risk of turning into an oven. 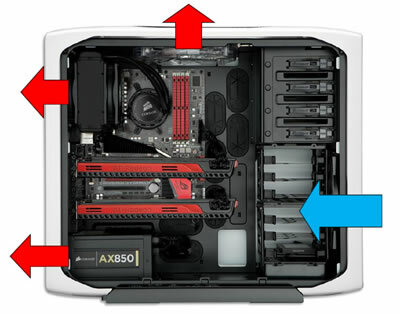 In the example above - using a Corsair Graphite Series 600T chassis - cool air is pulled in via fans at the front of the chassis, and warm air is pushed out through fans at the rear and top. The fan positioning is such that air is drawn across all of the system's heat-creating components - including the hard-disks, graphics cards, CPU and memory - with few obstructions en route. Good airflow is vital in high-performance PCs, and buyers should look for a chassis that carefully considers both component and fan positioning. Will all of your hardware get an uninterrupted supply of air, and will warm air be quickly ejected from inside out? A look at the internal cavern will often provide hints, and an examination of a chassis' pre-bundled fans will give an even better indication. At a minimum, a high-performance chassis should have at least one intake and one exhaust fan, helping move air from front to back. And remember, larger fans with a greater diameter will push a greater volume of air! If heat is such an issue? Why not build a chassis armed with dozens of little fans? The answer is noise. The moving parts of a PC can be an audible distraction, and the combined noise of hard-disks, optical drives and fans pre-attached to the CPU, GPU and PSU can be difficult to mask. A chassis with numerous small fans will only exacerbate the problem, so if you enjoy a quiet, more-refined PC experience, what can you do? A couple of things, actually. 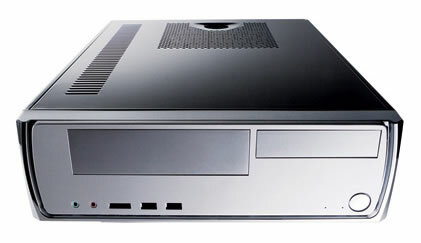 First and foremost, look for a chassis with fewer large fans as opposed to numerous small. Fans with larger blades will not only provide a greater volumetric flow of air, they'll do so while spinning at a lower speed - therefore creating less noise along the way. Smaller fans, on the other hand, may have to spin rapidly in order to provide the required level of air and will consequently create more noise. Quieter fans are integral to a near-silent computing experience, but there are enclosures that do more to combat the effects of noise. The above example, a Fractal Design Define R3, ships with noise-absorbing material applied to the side and front panels. Such materials can absorb noise and vibrations before they exit the enclosure, but chassis equipped with such features as standard will warrant a premium. Want to cut out as much noise as possible? Also look for vibration-absorbing rubber grommets on hard-disk and optical-disk trays, rubber feet at the bottom of the chassis, and a fan-speed controller. If you've opted for a mid- or full-tower chassis, there's a good chance you'll be using it to house more than one generation of PC components, so you'll want flexibility for future upgrades. 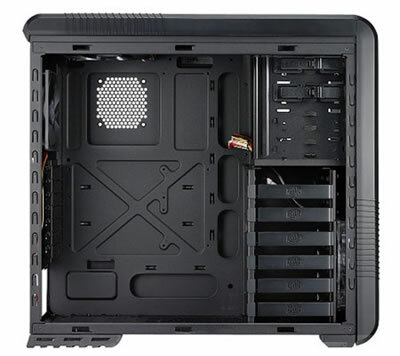 A well-equipped chassis, such as the Cooler Master CM 690 II, above, should have a couple of 5.25in external drive-bays and at least half-a-dozen internal hard-disk bays that support both 3.5in and 2.5in drives. You'll want to double-check that if you plan on using 2.5in solid-state drives. The number of PCI expansion slots at the rear may seem like overkill for a mid-range build, but having seven or more slots leaves room for future graphics upgrades - useful if you're thinking of SLI or CrossFire further down the line. Your airflow requirements should also be considered. While a chassis' pre-bundled fans may be adequate for your original build, subsequent upgrades may leave you in need of greater airflow. Check to ensure your chassis has spare fan-slots available, and if you're building an extreme PC, check for liquid-cooling support. Does the chassis provision for a good-sized radiator, and are there cutouts for liquid-cooling tubes? Cable-management facilities - check for numerous cutouts in the motherboard tray to help route cables, and ensure there's enough room between the tray and side panel to hide any excess. Remember, a mess of cables can obstruct airflow. Thumb screws - having these on everything from the PCI slots to the side panels helps keep the screwdriver at bay. Cutout in motherboard tray - this isn't the manufacturer skimping on material, it's there to help you easily attach a CPU cooler.